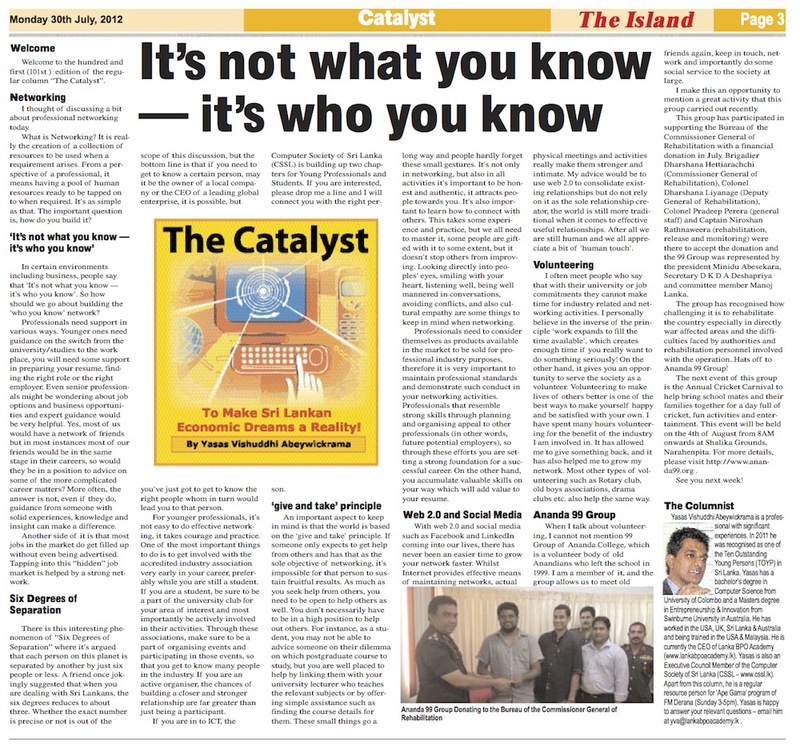 The Island columnist and 99 Group member Vishuddhi Abeywickrama has mentioned the events by our group on his latest column. 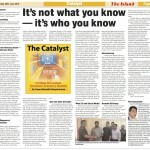 You can obtain the PDF or read the Catalyst column on the Island Newspaper website for more details on this. ← Great Anandian! 99′ Group member Mr.Sanjeewa Gonaduwa.